Every other year, sommeliers and hospitality industry professionals from around the United States gather in New York City to compete for the coveted title of "Best Sommelier in America" in a competition organized by the American Sommelier Association. Andrew Bell, Co-founder and President of the American Sommelier Association, took some time out of his busy pre-competition schedule to discuss wine, the sommelier profession and, of course, the Best Sommelier in America 2011 competition with IntoWine.com. Tell me about the Best Sommelier in America 2011 competition. What happens during this two-day competition? The Best Sommelier in America competition is a biannual event, somewhat of a "muscle exercise" that began in 1998. On Day One, the competitors are tested at an absurd level of knowledge about current affairs, wine laws and historical questions. They are tested on the proper technique for presenting, offering, preparing and serving wines. Then the competition moves on to "What's in the glass?" with blind tasting of wines. Next, they are served a spirit in a black glass and have one minute to identify it by aroma only. Day Two is narrowed down to a field of four – the contestants who scored highest across Day One. They take a written theoretical exam on wine/food pairing, blind tasting, spirits identification, serving and so on. They then move on to a mock three two-top [table] restaurant section for the service exam, in front of the judges and an audience. They're given their mise-en-place with glassware, trays and so on, just like they would have in a restaurant. This is a live, timed, simultaneous experiment with three tables with varying needs. It's the responsibility of the candidates to use the 20 minutes they are given. Tables can interact with the candidate and with each other. Then there's a wine cellar inheritance test. They're given 25 bottles with name tags only, relatively obscure, to identify. Next is blind tasting, four wines and four spirits, timed; the competitors have to describe the wines and determine where they are from and what foods they would serve with each wine. They then go to the cigar service test with the General Manager of Davidoff of Geneva and New York. Finally, they must open and pour magnums of Vranken Pommery Monopole. They have 18 glasses, one pour per glass. All the glasses must be filled to the same level and the magnum has to be empty. At the end of Day Two, there is an awards gala, with cocktails, dinner and a concert pianist performance. The dinner's theme is "Savor Your Senses," and we have five chefs from five different restaurants, each contributing one dish. This competition is the World Series or Olympics for wine service in the United States. We have 31 candidates from 13 states this year, the largest number of states so far. We [the American Sommelier Association] want to raise the bar for wine consumption in the U. S. We're a grass-roots, New York-based organization trying to expand our number of chapters in the United States. What advice would you give to aspiring sommeliers? I would tell them to come to the competition and watch! They should also try to intern at a higher-end restaurant, if possible. Besides buying wine, there are many aspects of this profession – inventory maintenance, wine list spell-checking, inventory control – which they can learn about during an internship. We need to teach the sommelier to encourage customers to put just one toe outside their comfort zones, to seduce the client and upsell by saving [clients] money. The sommelier's most sacred attribute is his or her ears. Listen to the client. Look, there are four types of wines – wines you like that sell, wines you like that don't sell, wines you don't like that sell and wines you don't like that don't sell. Only types one and three are important. The sommelier's job is to listen and watch sales stats. The sommelier affords the chef the opportunity to have higher food costs via higher wine sales, which generate profit for the restaurant. How can working with a sommelier enhance the dining experience? What should I ask the sommelier if I'm new to wine/food pairing? For the consumer, there are two things that make up a "great wine" – you enjoy drinking it, and you can afford it. You should have the courage to tell your waiter or sommelier your price point. If you're entertaining for business, you can call ahead [to your restaurant] and ask for an email with the wine list or look online for a recent list. You can also arrive before your guests to discuss wines and price points. It's not bad form to describe the wines you like and give a price. 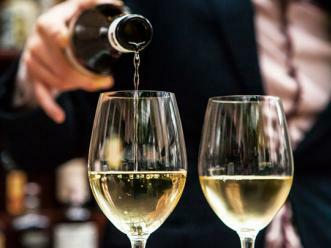 Some sommeliers will also put a finger on the price of each wine on the wine list as they describe the wines and use a "code," such as "lighter-bodied" for a less-expensive wine. Knowing what you like about a wine and comparing listed wines to wines you like and have tried before will help your sommelier make recommendations. Which wine regions in the U. S. are attracting your interest, and why? New York is exploding. I'm from Long Island, and that area, the Hudson River Valley, and Finger Lakes are growing. The Finger Lakes wines are vibrant and diverse. 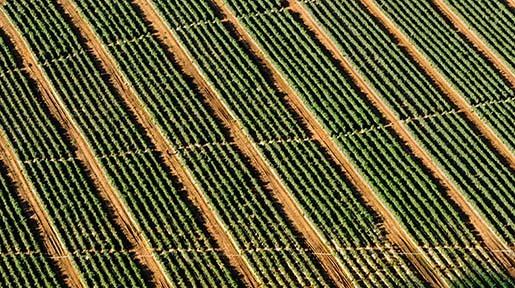 There are some under-the-radar areas of California that are cost-effective alternatives to big name AVAs, such as Lodi. In Virginia, you have the Shenandoah Valley and Horton Vineyards. As a country, we are in a beautiful position. California is backing off from heavily-oaked wines; used barrels are becoming more common. People are making a product that more represents the soil and varietals. Michigan, for example, is learning from the "sins" of other emerging states. Newer [wine] states and existing AVAs are both evolving. 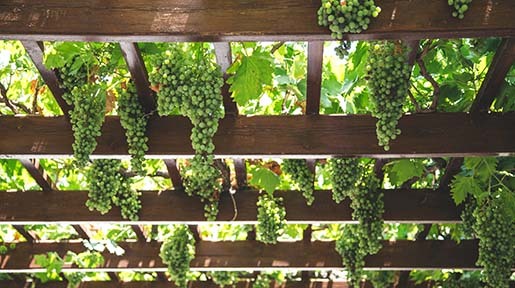 On the international wine scene, which regions are moving to the forefront? Worldwide, we saw the rise of Chile in the 1980s, Australia in the 1990s. Now, we're seeing small, single-vineyard wines from Australia. In South America, there are good wines at every price point. I think we'll see more Eastern European wines. Israeli wines are under the radar, especially cabernets. Their wines are slowly making their way here; it's a long journey across the Mediterranean. Argentina's wines have a reputation for affordability, and everyone is interested in New Zealand's pinots and sauvignon blancs. I've answered your question without answering your question. We are a fickle country that wants the latest and greatest thing. We need a sense of roots. You just can't keep changing your mind with viticulture. How has winning the Best Sommelier in America competition helped past champions? Michael Engelmann won the 2009 competition and received a full visa package to work in Australia. This year, he's coming back as one of our judges. Aldo Sohm, who won in 2007, is also judging. Virginia Philip, our 2002 winner, is a Master Sommelier and her consulting opportunities have skyrocketed since she was named Best Sommelier in America 2002. There's a huge sacrifice in terms of personal and social life; our competitors go to work, come home and start studying. I'm about the community of people who've lived through this 48-hour experience. Those who don't win are disappointed, but leave determined to come back in two years and walk away with the award.